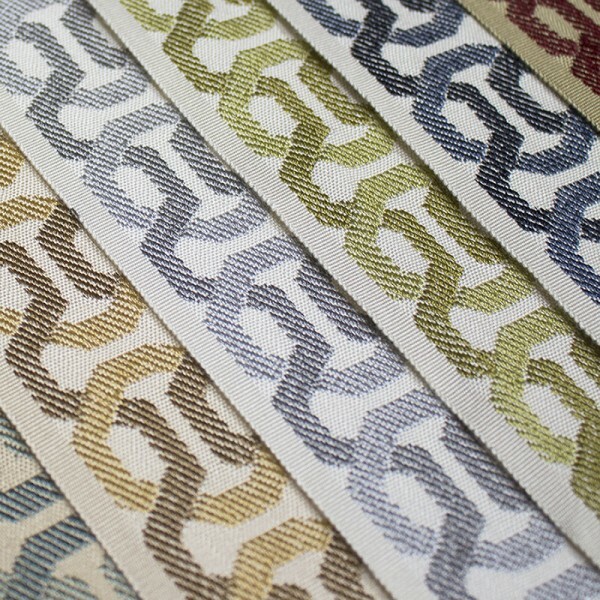 Trim out your designs with trimmings offered in a wave of nautical and natural neutrals. The star by far is a flat galon with a modern link pattern which decorates pillows and draperies beautifully. It also serves as an excellent furniture border. Add a minimal touch by selecting the clean and crisp ball fringe or simple mini cords. For a fuller look, the refined tassel fringe with interlocking header or full-bodied brush fringe are the right choice.